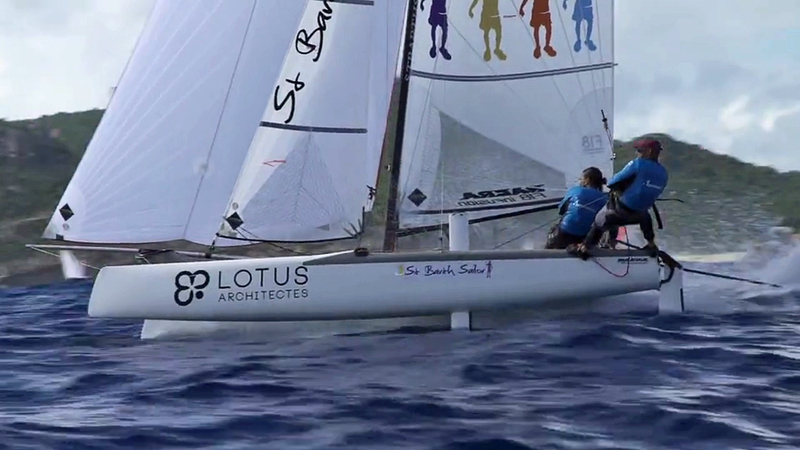 St Barts Catacup 2016 , Day 1 video sent by Manu Duclos / www.easyridevideos.com - Completing this kind of gems in one night is impressive. Manu , Théo Reynal and their team are Nr 1 right there with Nick Bowers / Kettle Cinema. The added ingredient from Manu are the on the water shots filmed from rib/support boat , those are just incredible sequences and diff perspective even from a drone follow side by side, mainly I think too on the camera type being used, as mounting a big sensor cam on a drone is not that efficient. 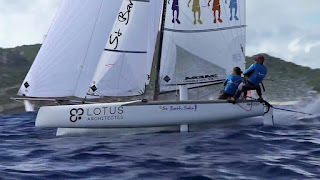 On the Cirrus R, beyond the sails, check also new high aspect ratio rudder blade on Gurvan & Ben boat. We'll contact Manu Boulogne to know more about their developments.